Whenever there is an earthquake related disaster in the news with collapsed buildings &other structure all over the place, one may think that earthquake resistant design(EQRD) of structure are still in dark age. 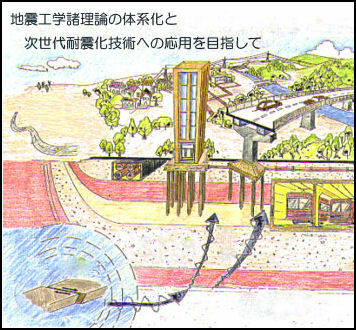 Thus we desperately need advanced earthquake resistant design to make structure less vulnerable to earthquake even for large earthquake. The severe shaking produced by seismic waves can damage or destroy building & bridges , topple utility poles & fracture gas and water mains. S wave can put stress on building to tear them apart. Also trigger landslide or avalanches. Base-isolation are designed in buildings . It is a building designed to reduce amount of energy that reaches the building during earthquake. Flexible joints and automatic shut off valves can be installed. Prepare a Seismic Risk Map for the globe which identifies rock types, liquefaction potential, landslide potential. Extensive geologic surveying has to be done to identify all active faults, including hidden faults. Buildings need to be designed and constructed as per the building by laws to withstand ground shaking. Architectural and engineering inputs need to be put together to improve building design and construction practices. The soil type needs to be analyzed before construction. Building structures on soft soil should be avoided. Buildings on soft soil are more likely to get damaged even if the magnitude of the earthquake is not strong . Similar problems persist in the building constructed on the river banks which have alluvial soil. In the coming years the work in the field of EQRD is very important to have safe structures which can take the effect of earthquake with less damage to the society. 2.1 What is an earthquake? 2.2 What causes an earthquake?